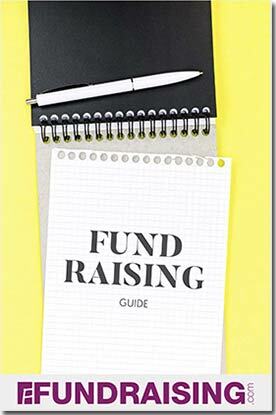 Fundraising cans, also known as a collection or donation cans or donation jars, is a simple but effective fundraising idea that helps organizations achieve visibility and credibility as well as providing a modest regular income. this will allow coins or folded bills to be inserted. For this fundraising opportunity, the home computer can provide a very effective tool for professional looking donation cans. There are many programs that can be used to make a wrap-around label that is smart and gives the essential information. The label should include the organization’s name, contact details and short purpose, e.g. helping stray animals, and photographs on the label will also impress. Use glossy print paper for the best effect, and tape or glue the label to the can. After several cans have been made, volunteers need to visit local stores and ask if they will display a can next to the cash register, so that customers see the can while they are handling cash. This may be in related stores, such as a feed store if the donations are for animals, but can also be in other places, such as a car wash, where customers are waiting around and have time to notice and consider the appeal. 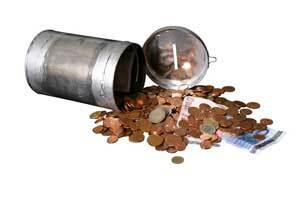 Having set the cans in place, it’s a good idea to visit regularly to empty the cash. Store clerks are not paid to check to see if the cans are full, and it’s also a good idea to keep down the amount of cash, to reduce petty pilfering. Having donation cans in the area has the additional benefit of getting the organization’s name noticed which helps with other fundraising activities.